Camera systems are now considered an essential part of most business security plans. Many businesses are quickly discovering how beneficial video can be for day-to-day operations. Video can be used to keep an eye on employees’ productivity and to make sure they are following safety procedures. A camera can also help monitor specialty equipment and machinery or to gauge traffic flow in your business. Custom Security can design video packages that include a cash register interface so managers can watch and record transactions at cash-handling areas. To enhance video, audio monitoring can be added for purposes such as employee training. ​Black Dog Fire and Security understands how important choosing the right camera system is to the profitability and success of your company. Whether you need Pan-Tilt-Zoom (PTZ) cameras to scan large areas such as parking lots or Internet Protocol (IP) cameras to get a detailed shot of a license plate, our professional security consultants will create a package that is right for your business. To capture footage to a DVR when activity is detected, cameras can be set up with auto-tracking technology. 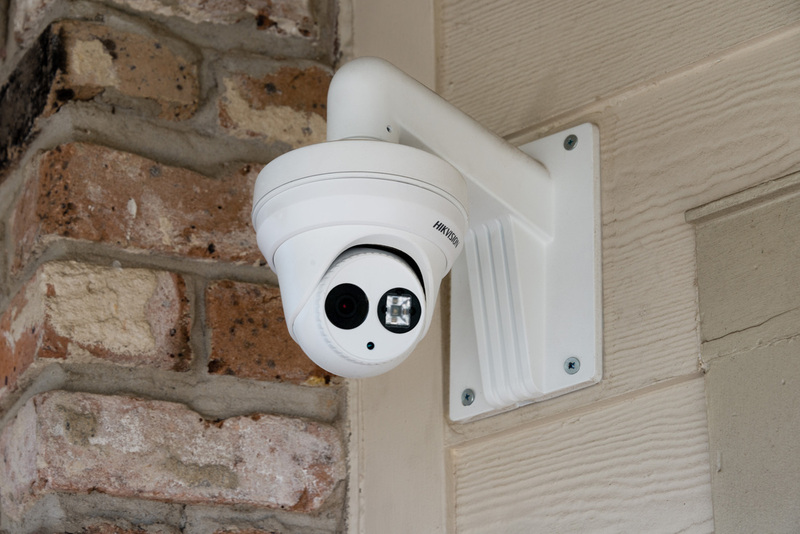 IP cameras can send and receive data, so they can be accessed from smart phones and laptops. When used with Black Dog Fire and Security Total Connect Services, these camera systems are ideal for business owners with multiple locations so they can look in on a store when they are away. You can use Black Dog Fire and Security camera systems to work with many of our other services. We will format your camera system to work with your access system, gated entry system or security system for video verification.